In two days, our women's national team will compete at the Rio Olympic Test Event to try to earn a team spot at the Olympic Games for the first time in history! 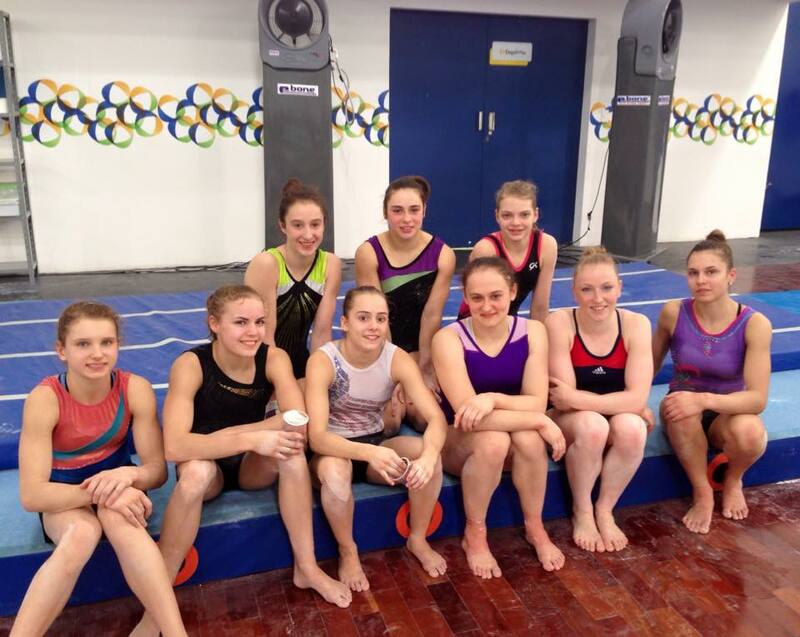 11th at last year's World Championships, Belgium easily qualified for the Test Event, a longtime goal of our gymnasts. The girls' preparation was pretty successful. In early March, Belgium won 6 medals at the International Gymnix, including three titles: the team gold, gold on bars for Nina Derwael and gold on floor exercise for Axelle Klinckaert. 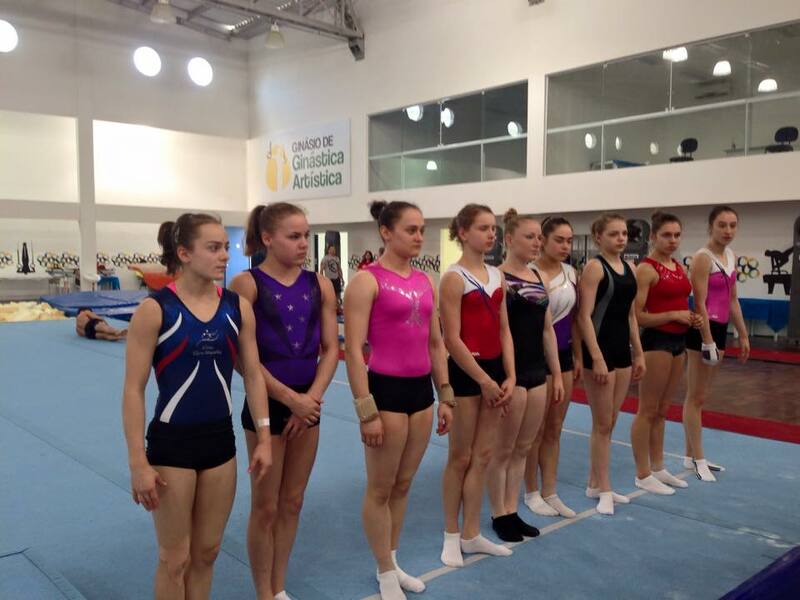 10 days ago, our gymnasts won another important test; a friendly meet against the teams from Romania and Germany. Important because those two countries are in Rio and will be direct competitors at the Test Event, even tho Germany didn't send its A team in Mouscron. It was a good occasion to see where our gymnasts were standing and what needed to be fix before the Test Event. After this competition, Laura Waem, Axelle Klinckaert, Gaelle Mys, Rune Hermans, Julie Croket, Senna Deriks and Cindy Vandenhole (alternate) made the Test Event team. Nina Derwael unfortunately got injured a couple of weeks before the Test Event and is unable to compete in Rio. But she and Julie Meyers, the 2nd alternate, still travelled with the team. As for the boys, we don't know the team line-up yet. But I think we can say Laura Waem and Axelle Klinckaert will compete on all four events. The last all arounder spot should be between Julie Croket and Rune Hermans. Since Rune didn't compete on floor in Mouscron, I'd say Julie should do the all-around while Rune will most likely compete on vault, bars and beam. Gaelle should compete on vault, beam and floor and Senna should compete on bars and floor. Star lists should be available tomorrow or on Sunday morning. On vault, Belgium doesn't have a high difficulty but it compensates with good execution. Axelle for instance can score around 14.300 for her full twisting Yurchenko. Senna Deriks and Laura Waem will be our best gymnasts on bars, an event on hich they can score between 14.100 and 14.600. Rune and Axelle usually have scores close to 14.000 while Julie should score around 13.500. On beam, Axelle, Laura and Gaelle should bring important scores for Belgium. In Mouscron, they all scored above 14.000. Rune and Julie, if they don't make mistakes, should be able to score around 13.500-13.700. Axelle will be our best gymnast on floor, where we know she can score around 14.400. Gaelle usually gets scores around 13.800. Laura has a less difficult routine but she compensates her lack of difficlty with clean execution to score around 13.400. Julie is still on the way back and has not yet recovered all her difficulty, but if she hits, she should get 13.200-13.400. Competition will be fierce and the results between the teams should be tight. In addition to Belgium, France, Romania, Germany, Brazil, Australia, Switzerland and South Korea will be in contention to win a team spot for the Olympic Games. Yves Kieffer, the head coach of Belgium, thinks that 5 teams have chances to qualify: "There will be a big fight. There are 5 countries for 4 tickets. You have Romania, Brazil, France, Belgium and Germany. Australia is a little behind, even if it is a great nation. It is more difficult for them right now. But for now, you can't say which countries will qualify. The Brazilians are at home, it's still a small advantage. The Romanians had an injury and they completely missed their qualifications in Glasgow but they won't do it twice. For me, I would say that these two teams have something more than the others. But if we do what we have to do, if we are steady as we usually are, we should qualify". And in the gymnastics field, we usually thinks Belgium will qualify: "People say « you know, in Belgium, you have great Juniors, your Seniors are there too, you are in the Top 12 and your Juniors are coming, so if the work is done, it should do it ». Now, if we qualify, you can knocked out big nations, like Germany or France. Those are big names with a lot of means but it is also the nice side. And it can create a positive dynamics for gymnastics in Belgium. It will create an Elite culture, it will show that you can compete as an Elite in Belgium", says Yves Kieffer. The pressure is obviously there for our gymnasts but Kieffer thinks that tis pressure is mostly on our competitors' shoulders: "Either way, the pressure is there. The Test Event, it's a competition like that, boom, it's yes or no. I think the pressure is more on the others than on us. Of course, the gymnasts will have pressure but if we qualify, it is exceptional, while other countries, big gymnastics nations, they have to qualify. They have to qualify because they have always been in the top 12, because their budget depends on it and they are in competition other Olympic sports. In France, there is a lot of competition with major sports such as judo, fencing, etc. Our gymnasts are accustomed to pressure, the little ones have shown that they can compete under pressure, the Seniors are always there in difficult conditions". Our National coach and gymnasts have faith and trust and so do we. The results will be tight, but the girls have to believe they can do it. The qualification has never been so close. They have the potential to make history for Belgian gymnastics.